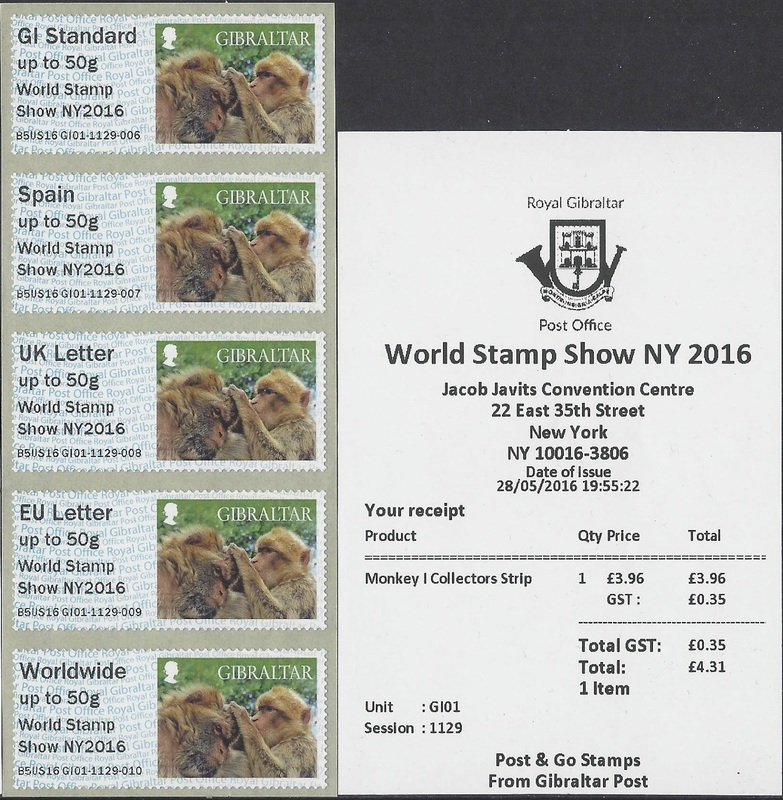 As mentioned several times earlier, Royal Mail (and other) Post and Go machines were at New York's international stamp show at the beginning of the month. 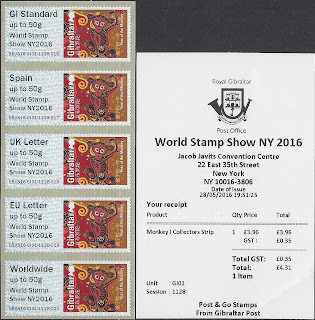 And not only (we're told) did their agents not have any Machin definitive stamps, there was no Machin to be had from the Post and Go machines either! 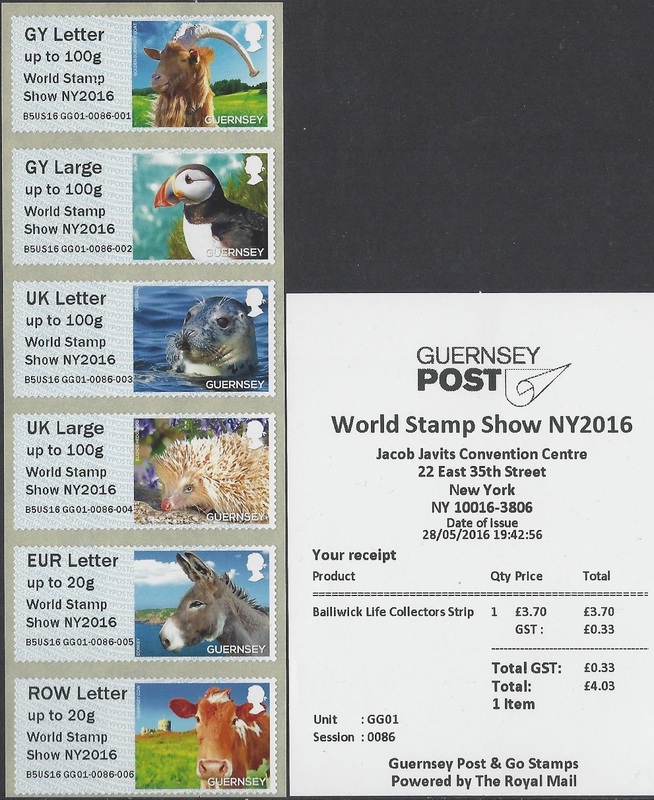 Thanks again to Chris for providing these pictures, presented for the record - we are not stocking any of these. 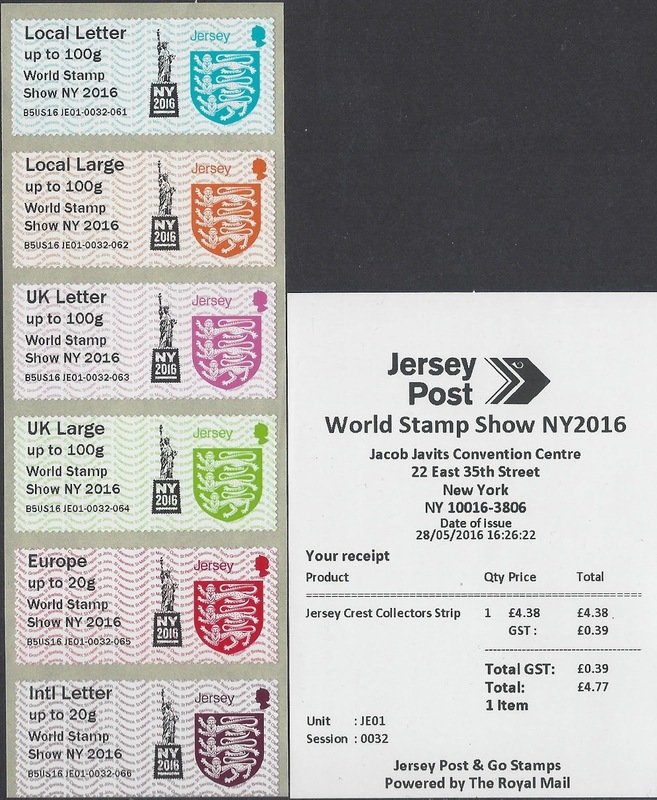 I understand that the standard 'Flag' P&G stamps for Jersey, Gibraltar and Guernsey will also carry the NY inscription. 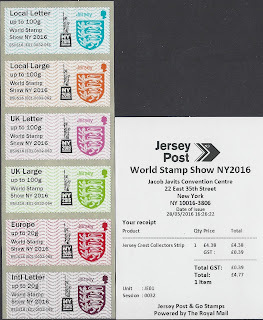 While I was away over the weekend I was sent pictures of these from Holland, so I have now added them. 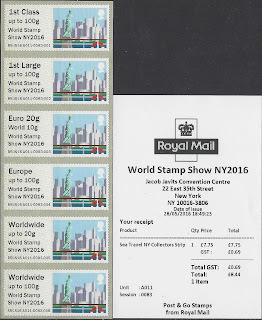 As I noted in the Machin Mania blog, there were indeed no Machins available at the Royal Mail stand, unless you wanted to buy a prestige booklet. It seems the curse of new Post & go stamps at exhibition strikes again with the new Gibraltar Monkey Stamp, which should not have had the exhibition text added to it. Either way error or deliberate it’s giving the consumer the variation that they want, or as the majority will see another reason to ignore these labels. I bought the British versions at the stamp show. Why do they charge 'GST' on these? 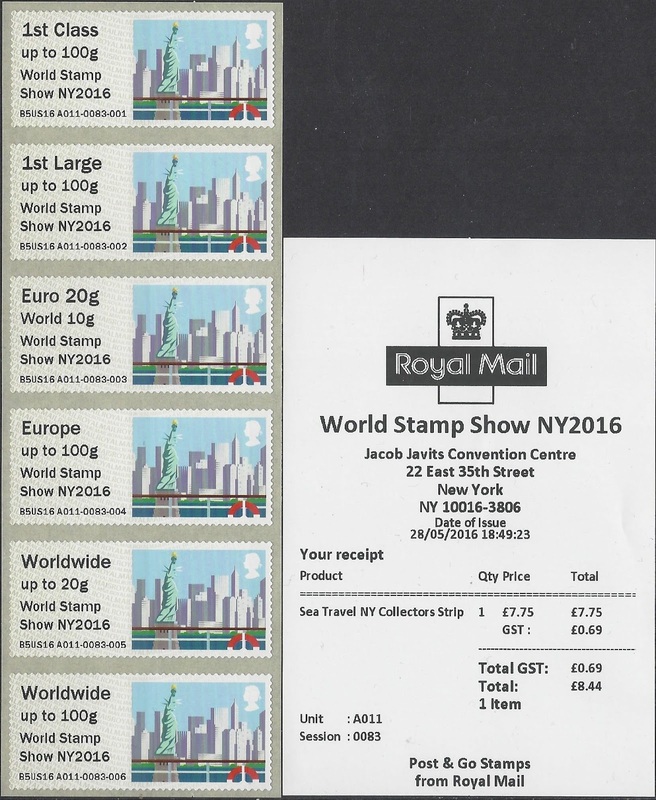 As far as I know GST is not payable in New York.